Whitestone Landing, Queens, New York, U.S.
Paulette Goddard (born Marion Levy; June 3, 1910 – April 23, 1990) was an American actress. A child fashion model and a performer in several Broadway productions as a Ziegfeld Girl, she became a major star of the Paramount Studio in the 1940s. Her most notable films were her first major role, as Charles Chaplin's leading lady in Modern Times, and Chaplin's subsequent film The Great Dictator. She was nominated for an Academy Award for Best Supporting Actress for her performance in So Proudly We Hail! (1943). Her husbands included Chaplin, Burgess Meredith, and Erich Maria Remarque. Goddard was the only child of Joseph Russell Levy (1881–1954), who was Jewish, and the son of a prosperous cigar manufacturer from Salt Lake City, and of Alta Mae Goddard (1887–1983), who was Episcopalian and of English heritage. They married in 1908 and separated while their daughter was very young, although the divorce did not become final until 1926. According to Goddard, her father left them, but according to J.R. Levy, Alta absconded with the child. Goddard was raised by her mother, and did not meet her father again until the late 1930s, after she had become famous. In a 1938 interview published in Collier's, Goddard claimed Levy was not her biological father. In response, Levy filed a suit against his daughter, claiming that the interview had ruined his reputation and cost him his job, and demanded financial support from her. In a December 17, 1945, article written by Oliver Jensen in Life Magazine, Goddard admitted to having lost the case and being forced to pay her father $35 a week. To avoid a custody battle, her mother and she moved often during her childhood, even relocating to Canada at one point. Goddard began modelling at an early age to support her mother and herself, working for Saks Fifth Avenue and Hattie Carnegie, among others. An important figure in her childhood was her great-uncle, Charles Goddard, the owner of the American Druggists Syndicate. He played a central role in Goddard's career, introducing her to Broadway impresario Florenz Ziegfeld. In 1926, she made her stage debut as a dancer in Ziegfeld's summer review, No Foolin', which was also the first time that she used the stage name Paulette Goddard. Ziegfeld hired her for another musical, Rio Rita, which opened in February 1927, but she left the show after only three weeks to appear in the play The Unconquerable Male, produced by Archie Selwyn. It was, however, a flop and closed after only three days following its premiere in Atlantic City. Soon after the play closed, Goddard was introduced to Edgar James, president of the Southern Lumber Company, located in Asheville, North Carolina, by Charles Goddard. Aged 17, considerably younger than James, they married on June 28, 1927, in Rye, New York. It was a short marriage, and Goddard was granted a divorce in Reno, Nevada, in 1929, receiving a divorce settlement of $375,000. Studio publicity portrait for Modern Times (1936), in which Goddard had her first substantial film role. Goddard first visited Hollywood in 1929, when she appeared as an uncredited extra in two films, the Laurel and Hardy short film Berth Marks, and George Fitzmaurice's drama The Locked Door. Following her divorce, she briefly visited Europe before returning to Hollywood in late 1930 with her mother. Her second attempt at acting was no more successful than the first, as she landed work only as an extra. In 1932, she signed her first film contract with producer Samuel Goldwyn to appear as a Goldwyn Girl in The Kid from Spain. However, Goldwyn and she did not get along, and she began working for Hal Roach, appearing in a string of uncredited supporting roles for the next four years. The year she signed with Goldwyn, Goddard began dating Charlie Chaplin, a relationship that received substantial attention from the press. It marked a turning point in Goddard's career when Chaplin cast her as his leading lady in his next box office hit, Modern Times, in 1936. Her role as "The Gamin", an orphan girl who runs away from the authorities and becomes The Tramp's companion, was her first credited film appearance and garnered her mainly positive reviews, Frank S. Nugent of The New York Times describing her as "the fitting recipient of the great Charlot's championship". Following the success of Modern Times, Chaplin planned other projects with Goddard in mind as a co-star, but he worked slowly, and Goddard worried that the public might forget about her if she did not continue to make regular film appearances. She signed a contract with David O. Selznick and appeared with Janet Gaynor in the comedy The Young in Heart (1938) before Selznick loaned her to MGM to appear in two films. The first of these, Dramatic School (1938), co-starred Luise Rainer, but the film received mediocre reviews and failed to attract an audience. Her next film, The Women (1939), was a success. With an all-female cast headed by Norma Shearer, Joan Crawford, and Rosalind Russell, the film's supporting role of Miriam Aarons was played by Goddard. Pauline Kael would later comment of Goddard, "she is a stand-out. She's fun." Selznick was pleased with Goddard's performances, particularly her work in The Young at Heart, and considered her for the role of Scarlett O'Hara. Initial screen tests convinced the director George Cukor and him that Goddard would require coaching to be effective in the role, but that she showed promise, and she was the first actress given a Technicolor screen test. Russell Birdwell, the head of Selznick's publicity department, had strong misgivings about Goddard. He warned Selznick of the "tremendous avalanche of criticism that will befall us and the picture should Paulette be given this part ... I have never known a woman, intent on a career dependent upon her popularity with the masses, to hold and live such an insane and absurd attitude towards the press and her fellow man as does Paulette Goddard ... Briefly, I think she is dynamite that will explode in our very faces if she is given the part." Selznick remained interested in Goddard and after he had been introduced to Vivien Leigh, he wrote to his wife that Leigh was a "dark horse" and that his choice had "narrowed down to Paulette, Jean Arthur, Joan Bennett, and Vivien Leigh". After a series of tests with Leigh that pleased both Selznick and Cukor, Selznick cancelled the further tests that had been scheduled for Goddard, and the part was given to Leigh. It has been suggested that Goddard lost the part because Selznick feared that questions surrounding her marital status with Charlie Chaplin would result in scandal. However, Selznick was aware that Leigh and Laurence Olivier lived together, as their respective spouses had refused to divorce them, and in addition to offering Leigh a contract, he engaged Olivier as the leading man in his next production Rebecca (1940). Chaplin's biographer Joyce Milton wrote that Selznick was worried about legal issues by signing her to a contract that might conflict with her preexisting contracts with the Chaplin studio. Goddard signed a contract with Paramount Pictures and her next film The Cat and the Canary (1939) with Bob Hope, was a turning point in the careers of both actors. She starred with Chaplin again in his 1940 film, The Great Dictator. The couple split amicably soon afterward, and Goddard allegedly obtained a divorce in Mexico in 1942, with Chaplin agreeing to a generous settlement. She was Fred Astaire's leading lady in Second Chorus (1940), where she met her third husband, actor Burgess Meredith. One of her best-remembered film appearances was in the variety musical Star Spangled Rhythm (1943), in which she sang a comic number, "A Sweater, a Sarong, and a Peekaboo Bang", with Dorothy Lamour and Veronica Lake. She received one Oscar nomination for Best Supporting Actress, for the 1943 film So Proudly We Hail!, but did not win. Her most successful film was Kitty (1945), in which she played the title role. In The Diary of a Chambermaid (1946), she starred opposite Burgess Meredith, to whom she was married at the time. Cecil B. DeMille cast her in three blockbusters: North West Mounted Police (1940), Reap the Wild Wind (1942), and Unconquered (1947). During the Hollywood Blacklist, when she and blacklisted husband Meredith were mobbed by a baying crowd screaming "Communists!" on their way to a premiere, Goddard is said to have turned to her husband and said, "Shall I roll down the window and hit them with my diamonds, Bugsy?" In 1947, she made An Ideal Husband in Britain for Alexander Korda, and was accompanied on a publicity trip to Brussels by Clarissa Spencer-Churchill, niece of Sir Winston Churchill and future wife of future Prime Minister Anthony Eden. In 1949, she formed Monterey Pictures with John Steinbeck. Her last starring roles were the English production A Stranger Came Home (known as The Unholy Four in the United States), and Charge of the Lancers in 1954. She also acted in summer stock and on television, including the 1955 television remake of The Women, this time playing the Sylvia Fowler role, however. After her marriage to Erich Maria Remarque, Goddard largely retired from acting and moved to Ronco sopra Ascona, Switzerland. In 1964, she attempted a comeback in films with a supporting role in the Italian film Time of Indifference, which turned out to be her last feature film. After Remarque's death in 1970, she made one last attempt at acting, when she accepted a small role in an episode of The Snoop Sisters (1972) for television. Upon Remarque's death, Goddard inherited much of his money and several important properties across Europe, including a wealth of contemporary art, which augmented her own long-standing collection. During this period, her talent at accumulating wealth became a byword among the old Hollywood élite. During the 1980s, she became a fairly well known (and highly visible) socialite in New York City society, appearing, covered with jewels, at many high-profile cultural functions with several well-known men, including Andy Warhol, with whom she sustained a friendship for many years until his death in 1987. Goddard underwent invasive treatment for breast cancer in 1975, successfully by all accounts. On April 23, 1990, she died from heart failure while under respiratory support due to emphysema, aged 79, at her home in Switzerland. She is buried in Ronco Village Cemetery, next to Remarque and her mother. Goddard married the much older lumber tycoon Edgar James on June 28, 1927, when she was 17 years old; the couple moved to North Carolina. They separated two years later and divorced in 1932. In 1932, Goddard began a relationship with Charlie Chaplin. She later moved into his Beverly Hills home. They were reportedly married in secret in Canton, China, in June 1936. Aside from referring to Goddard as "my wife" at the October 1940 premiere of The Great Dictator, neither Goddard nor Chaplin publicly commented on their marital status. On June 4, 1942, Goddard was granted a Mexican divorce from Chaplin. In May 1944, she married Burgess Meredith at David O. Selznick's Beverly Hills home. They divorced in June 1949. In 1958, Goddard married author Erich Maria Remarque. They remained married until Remarque's death in 1970. Goddard had no children. In October 1944, she suffered the miscarriage of a son with Burgess Meredith. She was the first stepmother to Chaplin's sons, Charles, Jr. and Sydney Chaplin, whose mother was Lita Grey. Arguably Goddard's foremost legacies remain her two feature films with Charles Chaplin, Modern Times and The Great Dictator, and a large donation to a prominent American educational institution. Goddard, whose own formal education did not go beyond high school, bequeathed US$20 million to New York University (NYU) in New York City. This contribution was also in recognition of her friendship with the Indiana-born politician and former New York University President John Brademas. Goddard Hall, a New York University freshman residence hall on New York City's Washington Square in Greenwich Village, is named in her honor. Efforts to raise CHF 6.2M ($7M) to purchase and save Remarque and Goddard's villa from demolition are underway, proposing to transform the Casa Monte Tabor into a museum and home to an artist-in-residence program, focused on creativity, freedom and peace. Goddard was portrayed by Gwen Humble in the made-for-TV movie Moviola: The Scarlett O'Hara War (1980), by Diane Lane in the 1992 film Chaplin, and by actress Natalie Wilder in the 2011 play Puma, written by Julie Gilbert, who also wrote Opposite Attraction: The Lives of Erich Maria Remarque and Paulette Goddard. 1953 Ford Theatre Nancy Whiting Episode: "The Doctor's Downfall"
1954 Sherlock Holmes Lady Beryl Episode: "The Case of Lady Beryl"
1955 Producers' Showcase Sylvia Fowler Episode: "The Women"
1957 Errol Flynn Theatre, TheThe Errol Flynn Theatre Rachel Episode: "Mademoiselle Fifi"
1957 The Joseph Cotten Show: On Trial Dolly Episode: "The Ghost of Devil's Island"
1957 Ford Theatre Holly March Episode: "Singapore"
1959 Adventures in Paradise Mme. Victorine Reynard Episode: "The Lady from South Chicago"
1939 Lux Radio Theatre Episode: "Front Page Woman"
1939 The Campbell Playhouse Episode: "Algiers"
1940 The Gulf Screen Guild Theatre Episode: "The Firebrand"
1941 The Gulf Screen Guild Theatre Episode: "Destry Rides Again"
1941 Lux Radio Theatre Episode: "Hold Back the Dawn"
1941 Cavalcade of America Episode: "The Gorgeous Hussy"
1941 Screen Guild Players Frenchy Episode: "Destry Rides Again"
1942 Philip Morris Playhouse Episode: "They All Kissed the Bride"
1942 Screen Guild Theatre Episode: "Parent by Proxy"
1942 Screen Guild Players The night club queen Episode: "Ball of Fire"
1942 The Gulf Screen Guild Theatre Episode: "Torrid Zone"
1942 Lux Radio Theatre Episode: "North West Mounted Police"
1942 Lady Esther Screen Guild Theatre Episode: "Ball Of Fire"
1943 Lux Radio Theatre Episode: "Reap the Wild Wind"
1943 Lux Radio Theatre Episode: "So Proudly We Hail!" 1944 Lady Esther Screen Guild Theatre Episode: 'I Love You Again"
1944 Lux Radio Theatre Episode: "Standing Room Only"
1944 Screen Guild Players Episode: "You Belong to Me"
1945 Harold Lloyd Comedy Theatre Episode: "Standing Room Only"
1945 Theatre Guild on the Air Episode: "At Mrs. Beam's"
1947 Lux Radio Theatre Episode: "Kitty"
1947 Hollywood Players Episode: "5th Ave Girl"
1948 Screen Guild Players Episode: "Suddenly It's Spring"
1952 Philip Morris Playhouse Episode: "The Romantic Years"
↑ There are discrepancies regarding her year of birth. According to biographer Julie Gilbert, she was born in 1910. Legal documents and a passport listed her birth year as 1905 and 1915. In a 1945 interview with Life, Goddard claimed she was born in 1915. 1 2 3 Rimler, Walter (2009). George Gershwin: An Intimate Portrait. University of Illinois Press. p. 147. ISBN 0-252-09369-0. ↑ Jensen, Oliver (December 17, 1945). "The Mystery of Paulette Goddard". Life. Time Inc. 19 (25): 124. ISSN 0024-3019. The interview moved on to her date of birth. It was pointed out that the dates most frequently given were 1911, 1905, and 1914. "Isn't that funny", observed Miss Goddard, "because I was actually born in 1915." 1 2 3 4 Gilbert, Julie (1995). Opposite Attraction – The Lives of Erich Maria Remarque and Paulette Goddard. Pantheon Books; ISBN 0-679-41535-1, pp. 37–41 for parents' names and backgrounds, as well as Alta's birth year; pp. 159–60 for Levy's death year and p. 477 for Alta's death year. ↑ Harms, John W.; Goddard Harms, Pearl (1990). The Goddard Book. 2. Gateway Press. p. 1364. 1 2 Gilbert, pp. 46–51. 1 2 3 4 Gilbert, pp. 53–70. 1 2 Monush, Barry (2003). Monush, Barry, ed. Screen World Presents the Encyclopedia of Hollywood Film Actors: From the Silent Era to 1965, Volume 1. 1. Hal Leonard Corporation. p. 282. ISBN 1-55783-551-9. 1 2 3 4 Haver, pp. 251, 259-60. ↑ Milton, Joyce. Tramp: The Life of Charlie Chaplin, HarperCollins (1996) p. 373. 1 2 Flint, Peter B. (April 24, 1990). "Paulette Goddard, 78, Is Dead; Film Star of 1930's Through 50's". nytimes.com. p. 1. Retrieved February 15, 2013. ↑ "BOOKS OF THE TIMES; Made for Each Other, and Unfortunately So". New York Times. August 17, 1995. Retrieved December 2, 2015. 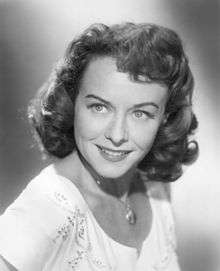 ↑ Details of death of Paulette Goddard, paulette-goddard.fr; accessed April 25, 2014. ↑ "Paulette Goddard Divorces Charles Chaplin in Mexico". St. Petersburg Times. June 5, 1942. p. 8. Retrieved February 16, 2013. ↑ "Paulette Goddard Becomes Bride of Burgess Meredith". The Evening Independent. May 23, 1944. p. 10. Retrieved February 16, 2013. ↑ "Goddard Mexican Divorce Final". Pittsburgh Post-Gazette. June 8, 1949. p. 12. Retrieved February 16, 2013. ↑ "Paulette Goddard, Chaplin's ex-wife". The Pittsburgh Press. April 23, 1990. p. B4. Retrieved February 17, 2013. 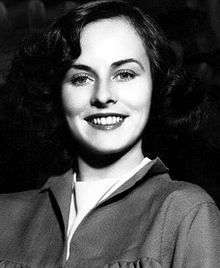 ↑ Paulette Goddard (1910–1990) profile, American National Biography Online; accessed April 25, 2014. ↑ (German) "La villa d'Erich Remarque en danger", sur swissinfo.ch; accessed November 2010. ↑ "New Jersey Rep Presents PUMA Through April 3 Read more about New Jersey Rep Presents PUMA Through April 3". broadwayworld.com. February 17, 2011. Retrieved February 17, 2013. ↑ "Goddard, Paulette". radioGOLDINdex. Retrieved 12 May 2015. ↑ "Western Theme Predominates Sunday Dramas Over WHP". Harrisburg Telegraph. February 1, 1941. p. 22. Retrieved May 9, 2015 – via Newspapers.com. ↑ "Air Ya Listenin?". The Mason City Globe-Gazette. October 9, 1942. p. 2. Retrieved May 11, 2015 – via Newspapers.com. ↑ "Fred Allen, Quiz Kids and Jack Benny Tangle on WHP'". March 28, 1942. p. 23. Retrieved May 9, 2015 – via Newspapers.com. ↑ "Paulette Goddard, Kay Kyser Featured in 'Ball of Fire'". The Mason City Globe-Gazette. November 28, 1942. p. 8. Retrieved May 9, 2015 – via Newspapers.com. ↑ "WSOY Offers 'Screen Guild'". November 27, 1944. p. 8. Retrieved May 9, 2015 – via Newspapers.com. ↑ "Goddard Star of Hollywood Players". Harrisburg Telegraph. December 28, 1946. p. 17. Retrieved September 4, 2015 – via Newspapers.com. ↑ "'Spring' Star". Harrisburg Telegraph. March 13, 1948. p. 22. Retrieved August 8, 2015 – via Newspapers.com. ↑ Kirby, Walter (April 27, 1952). "Better Radio Programs for the Week". The Decatur Daily Review. p. 48. Retrieved May 8, 2015 – via Newspapers.com. ↑ Kirby, Walter (November 23, 1952). "Better Radio Programs for the Week". The Decatur Daily Review. p. 48. Retrieved June 16, 2015 – via Newspapers.com. Gilbert, Julie (1995). Opposite Attraction – The Lives of Erich Maria Remarque and Paulette Goddard. Pantheon Books. ISBN 0-679-41535-1. Haver, Ronald (1980). David O. Selznick's Hollywood. Bonanza Books, New York. ISBN 0-517-47665-7. Kael, Pauline (1982). 5001 Nights at the Movies. Arrow Books, London. ISBN 0-09-933550-6. Shipman, David (1970). The Great Movie Stars, The Golden Years. Bonanza Books, New York. ASIN B000O94LLG. Walker, Alexander (1987). Vivien, The Life of Vivien Leigh. Grove Press. ISBN 0-8021-3259-6. Wikimedia Commons has media related to Paulette Goddard.